New York taxicabs are throwing a fit against the mayor, but the people they’ll hurt can barely get around. Mayor Bill de Blasio refused to bailout the taxicabs, which are struggling with lost revenue and falling medallion values because of the competition from ride hailing apps like Uber and Lyft. The cabs have responded predictably – by throwing a tantrum. They’re threatening to shut down the entire handicap accessible cab program. That will leave wheelchair-bound passengers stranded, but that doesn’t matter. They hope the threat will be enough to push the mayor to cave in to their demands. “Without the necessary financing in place, there may be no choice but to shut down the entire accessible-taxi program within months,” Beier said, referring to the city’s more than 1,400 specially equipped cabs. Dustin Jones, of United for Equal Access New York, said Hizzoner will ultimately be held responsible by disabled riders if the special vehicles disappear. “If Mayor de Blasio lets the accessible-taxi program die, he shouldn’t expect New Yorkers with disabilities to vote for him this year,” he said. Apparently, under the settlement terms of a 2013 federal lawsuit, half of the city’s taxicab fleet must be wheelchair-accessible by 2020. Both the city and the cabs have to abide by this federal settlement and the cabs know it. The taxicabs are using fear mongering, threats, and other desperate measures to remain relevant in a rapidly-changing transportation industry. There should be room for all choices to compete fairly in the marketplace. Up to this point cabs have lobbied to erect a system of permissions for drivers to hit the road. Up until recently, the values of medallions have skyrocketed to over a million dollars. Innovation in the form of ride-hailing has disrupted that though, offering cheaper alternatives from regular people just shuttling complete strangers around through the tap of their smartphone. De Blasio was an opponent of ridesharing but has since changed his tuned. He was right when he said taxicabs need to innovate rather than hoisting greater regulatory burdens on technology. An interesting wrinkle in this story is that former senator Tom Harkin of Iowa urged New York Governor Andrew Cuomo to require ride-hailing companies like Uber and Lyft to make a portion of their vehicles accessible to people in wheelchairs. “As ride share companies become more and more prevalent, and become a greater share of the transportation network, people with disabilities should have equal access to the use of their services. Without these requirements, people with disabilities will be locked out of an important part of the emerging transportation system throughout New York,’’ Harkin wrote Cuomo. The ride-hailing v. taxi saga goes on in the Empire State and it’s an important battle to track. As New Yori is a leader in urban policy, other cities may take their cues from how transportation policy evolves there. What we need is greater competition and a level playing field. That is what both taxicabs and ride-hailing companies should be advocating for. Let the best competitors win. 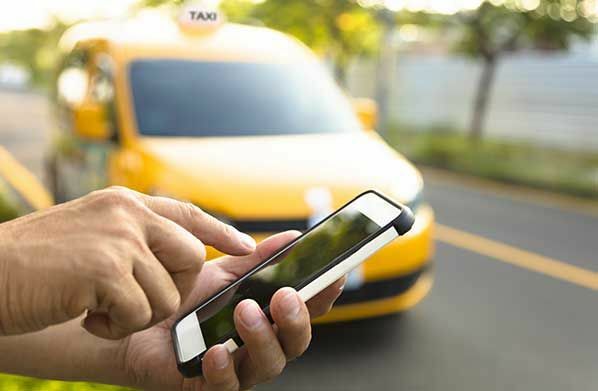 In addition, it’s important to keep in mind that while the issues of revenue for taxicab drivers and ride-hailing drivers are front-and-center, technology may eventually usher in self-driving cars that change the terms of the debate.